KEN PARK is a Toronto-based dance music producer. Favouring gear to software, Park makes dance music that is at once party and pensive. The July release of his debut full-length album You Think About it Too Much (DAPS records) garnered favourable reviews and saw him tour it in Europe from Reykjavik to Moscow. Back home for the time being, Park is currently recording a follow-up album to be released fall of 2015. 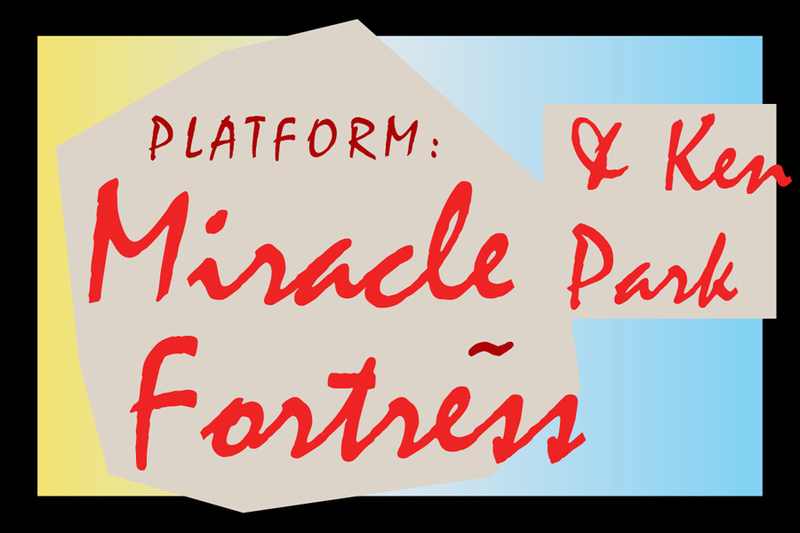 MIRACLE FORTRESS is the cognomen for Montreal-based musician and producer Graham Van Pelt. His 2007 debut, Five Roses, received widespread critical praise, including a Polaris Prize nomination. He released his sophomore effort, Was I the Wave? in 2011, and is currently working on its follow up.